First of all, the location is PERFECT. Nestled in Denver’s hip and always buzzing Uptown Neighborhood, the space that host’s Patxi’s is roomy, beautiful, and welcoming. 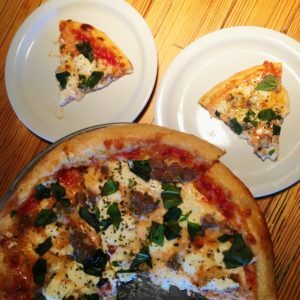 A menu full of pizza descriptions that will have you drooling, paired with a lengthy list of local beers and wine, definitely sets this pizza place apart from other pizza joints. 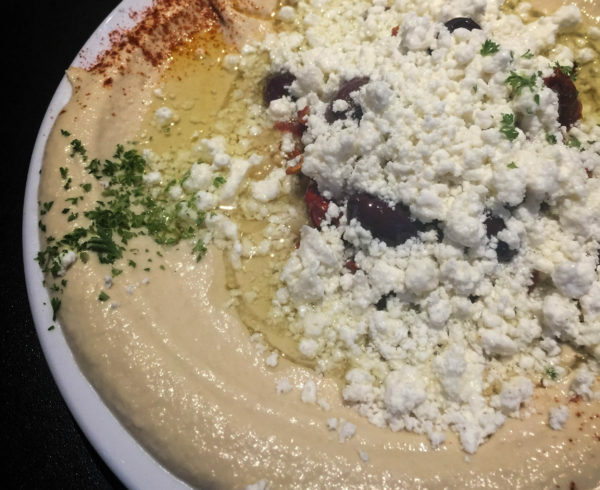 In general, I tend to stay away from appetizers as to not ruin my appetite for whatever meal awaits me. 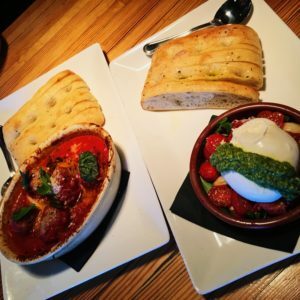 However, the Meatballs and Burrata Bruschetta we indulged in at Patxi’s were a must-try and definitely worthy of whatever space you are holding out on, in your stomach. I especially love that Patxi’s has GF and Vegan options, and that you can mix and match ingredients to build-your-own pizza; but honestly, the guys in the kitchen definitely know what they’re doing so I highly recommend just sticking to the pre-created, carefully thought out, and brilliantly constructed pizzas on the menu. For a thin-crust pizza, we went with the (garlic-fennel sausage, ricotta, basil, mozzarella), and for a deep-dish we chose the (spinach, basil-garlic parmesan pesto, add grilled chicken). 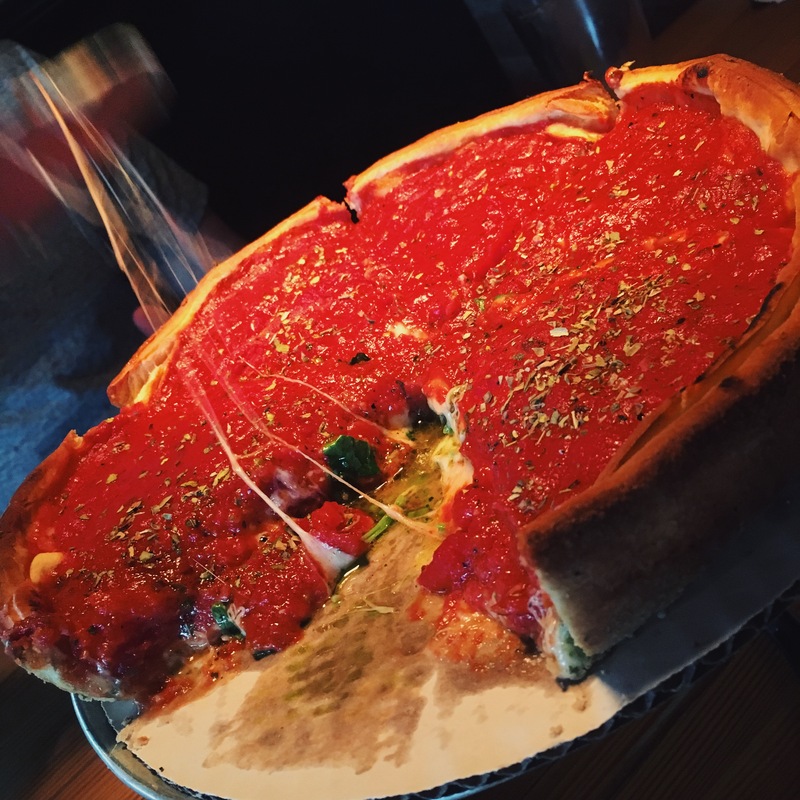 The thin-crust pizza was tasty, but the highlight for me was the deep-dish for sure; buttery crust, fresh ingredients, homemade sauce and cheesy goodness overflowing—hard to beat this taste! I especially love that Patxi’s has GF and Vegan options, and that you can mix and match ingredients to build-your-own pizza; but honestly, the guys in the kitchen definitely know what they’re doing so I highly recommend just sticking to the pre-created, carefully thought out, and brilliantly constructed pizzas on the menu. For a thin-crust pizza, we went with the Salsiccia (garlic-fennel sausage, ricotta, basil, mozzarella), and for a deep-dish we chose the Spinach Pesto (spinach, basil-garlic parmesan pesto, add grilled chicken). 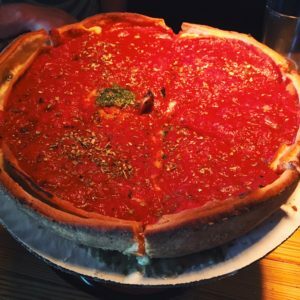 The thin-crust pizza was tasty, but the highlight for me was the deep-dish for sure; buttery crust, fresh ingredients, homemade sauce and cheesy goodness overflowing—hard to beat this taste! Lastly, there’s just something about happy employees that brings an entire restaurant to life, and at Patxi’s, its no different. To compliment the delicious menu, everyone at Patxi’s is so friendly, know their pizza and love their job; this definitely reflects in the amazing service—A+!